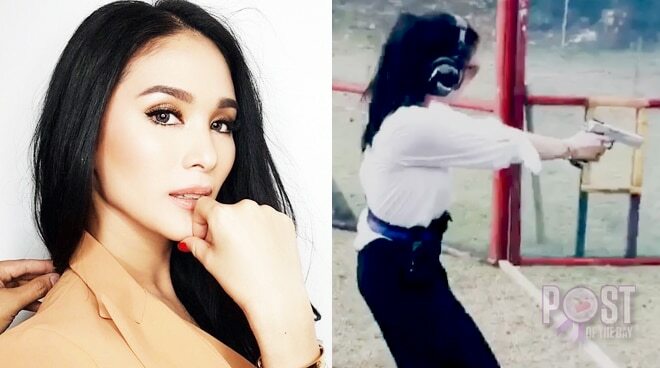 Heart Evangelista got into an impromptu practice shooting with her husband Senator Francis “Chiz” Escudero. “Please excuse the getup! Impromptu practice shooting at the Kasanggayahan Firing range with Maning Frivaldo and the hubby,” she wrote. Please excuse the getup! 🙈 Impromptu practice shooting at the Kasanggayahan Firing range with Maning Frivaldo and the hubby.